Toronto is often regarded by Canadians as one of Canada’s safest cities. Evidence suggests, however, that senses of security are almost always illusionary. This is why the Pros will always outweigh the Cons of investing in a smart and reliable home security system. Mainstreet Research President Quito Maggi, recently found that crime in smaller areas in cities like Toronto rarely gets the same media attention as inner-city crime. Thankfully, with a smart, total home security system, you can better protect your family, home, and business, wherever in Toronto you might be located. Protecting your property is a basic human instinct – you’ve worked hard for what you have. Why would you jeopardize that? 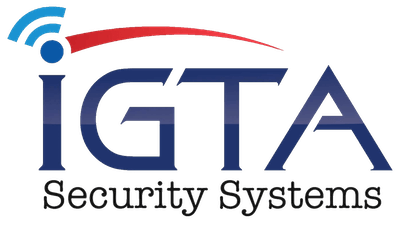 At iGTA Security Systems, we’re dedicated to providing you true security and peace of mind. When you know you’re safe and secure, you can rest easily. 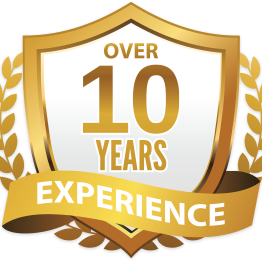 With 10 years in the security business, you can trust us to protect your home, family, and business. We set ourselves apart with unwavering integrity and a strict code of ethics. A hardwired smart security system can only operate as well as how it is set up to operate. This is why we offer on-site security walkthroughs where we identify home and business property security weak points before installing a security system which can work 24/7 to counter threats. Having been in operation in Toronto for 10-years, we can install a home and business security system which is adaptive to all your individual security requirements. We constantly familiarize ourselves with local crime trends. This way, we can provide security products which help counter threats before they happen. With advanced monitoring of a Toronto home or business security system, you can rest assured that fires, intrusions, acts of vandalism, and break-ins will be responded to as they happen. Advanced monitoring of a security system offers the highest level of security possible, without compromising your privacy or regular property access. with the name you trust. Closed circuit television cameras work as an effective deterrent to crime. 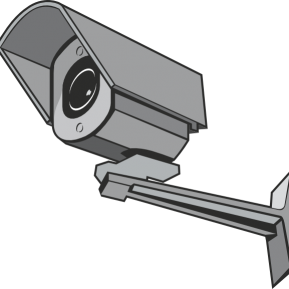 Much more importantly, a CCTV security system is an effective way to gather evidence against perpetrators of crime, in order to help identify culprits and later prosecute them in a Toronto court of law. Any modern security system needs to be equipped with state-of-the-art access control software which allows users to control and monitor their system as easily and as conveniently as possible. This is why we equip people investing in new security systems with a variety of innovative and easy to use access control system options. In Canada, at least 1 in 7 people live with some kind of disability. Thankfully, people with personal mobility problems can still benefit from total home security and ease of access to their properties. This is because even the most robust security system can feature accessibility features such as mobile access controls and automatic door openers. The best home or business security system in Toronto will always be one which can detect fires thanks to heat and smoke sensors, as well as just property intruders. This way, a security system will work while you are sleeping, in residence, and away from your property, to detect threats and notify relevant authorities accordingly. Motion detectors can be used as a powerful tool to detect intruders in a property and stop crime in its tracks as it happens. Our own Toronto security systems can subsequently be configured to alert you and authorities to any unauthorized presence in your home or place of business as soon as a presence is detected. Carbon monoxide is a silent and surprisingly common threat to home and business owners all across Canada. In fact, using gas heaters without adequate ventilation in winter is itself one of the leading causes of carbon monoxide poisoning. Thankfully, a smart security system can help neutralize threats by immediately alerting property owners to problems. Modern businesses in Toronto rely more on IT than ever before. System downtime simply isn’t an option, especially if you run an online business. What is more, data security itself is of paramount importance. This is why we can help maintain your essential hardware, whilst also attending to data back up and recovery, disaster planning & recovery, and expeditious fault finding and resolution. Our managed IT services provide Toronto businesses with network infrastructure maintenance and support, guaranteed to keep your network running as fast, effectively, and efficiently as possible. We unshoulder you of the burden of costly on-site maintenance and security monitoring. At the same time, however, we provide the same 24/7 support which you would expect to be able to rely on in-house. Wireless intercom and video intercom systems are an easy and effective way to ensure maximum property and personal protection in a wide variety of home and business contexts. From securing restricted areas such as cash rooms to helping better protect your family home. We have the intercom solutions you need to always know who is attempting to access your property. A private branch exchange telephone system is a private telephone-based communications network which can facilitate faster and more cost-effective communication between different offices, business departments, and other in-company areas. As well as security system installations, we can also install and configure a PBX system scaled to your exact business requirements. Buying a new home entertainment system is easy. Only a professional entertainment system installation expert, however, can network a system and install a system which takes full advantage of your entertainment area acoustics. Thankfully, we can do just this, as well as help you choose the right system for your specific residential or commercial needs. Imagine living in a property where everything from your home security system to property heating and ambient lighting controls, are all taken care of by a discrete smart home network. Smart, networked homes are fast becoming the way in Toronto to save on home energy bills, whilst also adding unparalleled convenience to residential home life. Locksmiths such as ourselves are in high-demand all year round in Toronto. Every day, people lock themselves in and out of properties. This is why we provide 24/7 expert home and business locksmith services designed to restore access to properties and vehicles as expeditiously as possible. Mounting a television or home entertainment device can be a fantastic way to free home space and enhance the decorative feel of a property. TV mounting, however, can also be dangerous. Thankfully, we can help mount televisions and other home entertainment devices easily, safely, and as eye-catching as possible. There’s no feeling you learn to appreciate more than security. Our founder, Michael Carbine, knows it all too well. After his home was robbed, he knew there had to be a better way of securing your home. He couldn’t find one, so he did what any man looking to protect his family does: he created a means to ensure their safety.